When an entrepreneur goes to found a new business, they are likely overwhelmed by the number of options available to them. One that always tends to confuse new business owners is “Foreign Limited Liability Company.” Many business owners are unsure about what a foreign limited liability company is and how it is relevant to their new business. The article below should detail foreign entities versus domestic entities and what it takes to file as a foreign LLC. New business owners often hear the term “Foreign LLC” and think that this type of business does not concern them because they operate in the United States. In fact, this is one of the most common misconceptions about foreign limited liability companies. “Foreign,” in this case, does not refer to a company located outside of the United States. Instead, it relates to respective states. For example, if an LLC in Delaware wishes to branch out and begin doing business in Maryland, they must first file as a foreign limited liability company. Filing as a foreign LLC indicates that the company is conducting business outside of the state in which they initially registered. To file as a foreign entity, a company must first be registered as a domestic LLC in a state. When Must Companies File As A Foreign LLC? If a company conducts business in a state, they likely must register as a foreign LLC. The term “conducting business” is pretty self-explanatory. If a company has an office, retail store, warehouse, manufacturing facility, or distribution facility in a state, they generally need to register as an LLC. If the company sells goods or products in a state through an agent, manufacturer’s representative, or distributor, they will also likely also need to file as an LLC. Additionally, if a company has a business bank account in a given state or holds property in a state, they will likely also register as an LLC. Companies would be wise to err on the side of caution. The filing fees in a state tend to be significantly less than the penalties the state could levy against a business if they’re found to be conducting business illegally. If a company wishes to register as a foreign LLC in a given state, they should pay close attention to the forms they need to submit. 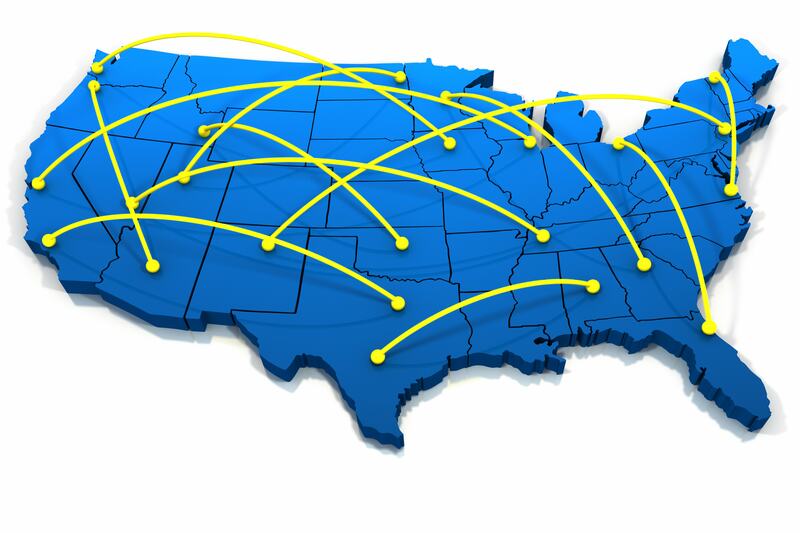 In many states, the paperwork for domestic and foreign LLCs is not universal. There is often separate paperwork when filing as a foreign LLC and when filing as a domestic LLC. Additionally, not all states require companies to file as a foreign LLC. For example, some states only need companies to submit paperwork if they intend to transact business. Business owners would be wise to check the requirements for the state in which they plan to file to see the possible exemptions. Again, it’s better for business owners to be cautious than to assume they do not need to submit paperwork and face stiff penalties later. Business owners should also understand that when filing as a foreign LLC, they are still required to have a registered agent. The registered agent used for their domestic LLC paperwork will not suffice since the registered agent must have an address in the state of filing. Business owners could consider third-party registered agent services to help find someone reliable and trustworthy. In summary, whenever an LLC conducts business in another state, they should consider registering as a foreign limited liability company.